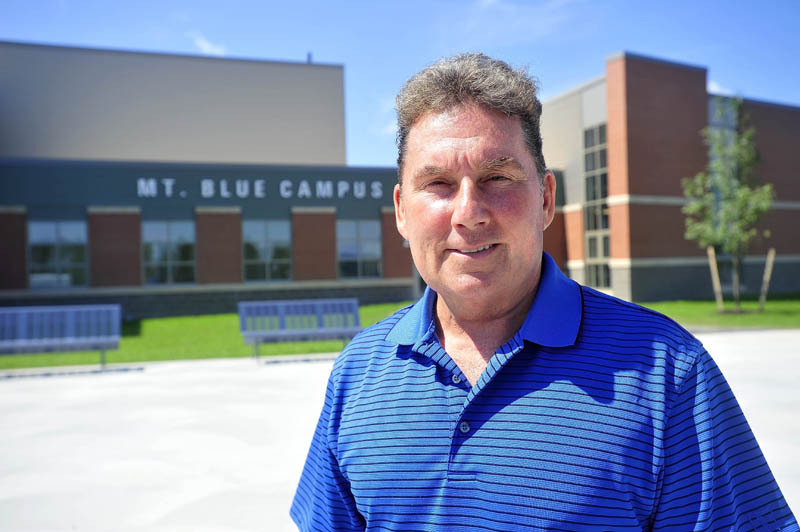 After three years of construction noise and displaced classrooms, students and teachers this school year will be enjoying a completely renovated and expanded Mt. Blue Learning Campus. FARMINGTON — After three years of construction noise and displaced classrooms, students and teachers this school year will be enjoying a completely renovated and expanded Mt. Blue Learning Campus. 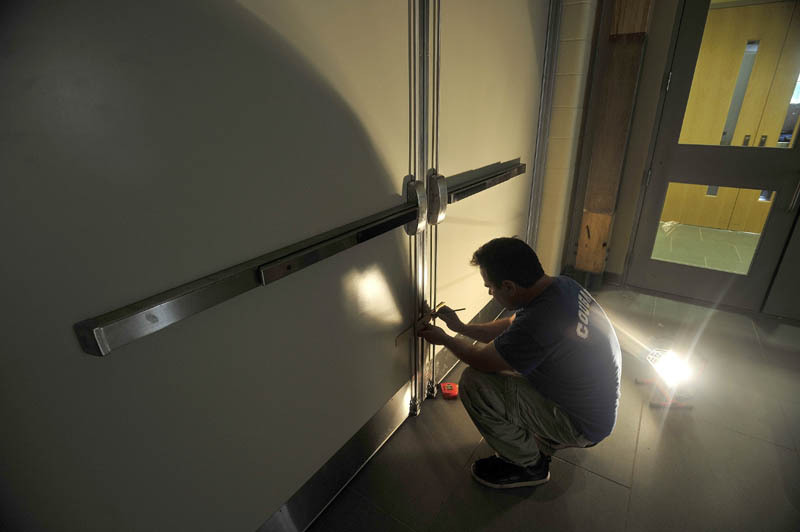 Superintendent Tom Ward said today that construction at the high school of roughly 750 students is essentially complete, but a couple of tasks will not be finished until after school starts Aug. 28. Among the work to be completed is carpet installation in an administration room and the library. The school board toured the new facility Tuesday night, and Ward said the district expects to get its permit to occupy the building next week. “We’re all very excited for this,” Ward said. John Moynihan, project manager for Wright Ryan Construction, which oversaw the renovation, said the project stuck to its $60 million budget. 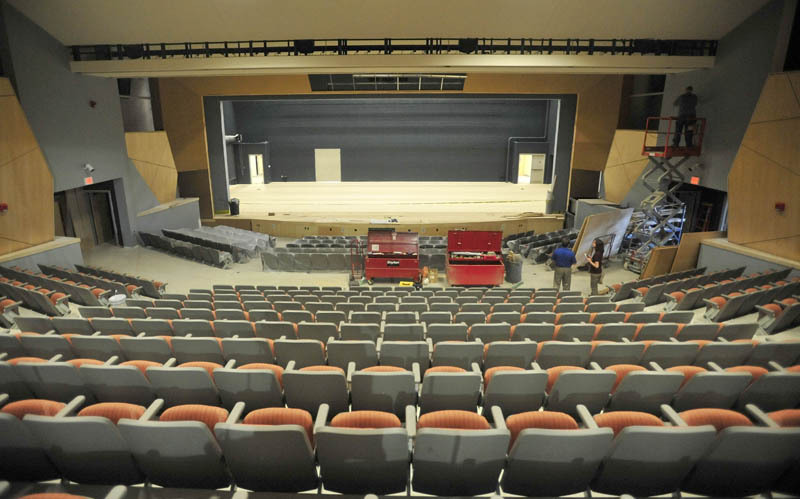 The project’s last phase, which included construction of Bjorn Auditorium and a three-story classroom wing, was completed this month. Ward said the aspect of the renovations that he is most is excited about is the way the new layout integrates the Foster Regional Applied Technology Center classrooms with the other Mt. Blue High School classrooms. He said the goal of the integration is to remove any stigma about taking career center classes and to encourage more students to enroll in them. “We’re all one high school now,” he said. Ward, who took on his role as superintendent July 1, has a long history with Mt. Blue and the original building. He graduated from Mt. Blue High School in 1976, three years after the old school was built, and later served as the principal of the school for six years. He said the building served the district well, but it eventually showed its age and needed renovation. Ward said the school is in the process of getting LEED certified for using alternative energy systems such as geothermal systems, solar photovoltaic panels, a wood-chip boiler, solar hot water heaters and a small-scale wind energy generator. While many of the rooms were renovated fully last school year, 30 percent to 40 percent of teachers and classes were displaced at any given time while their future space was worked on. The makeshift trailers that housed the displaced classes are gone now, and all teachers will be housed in the main campus in the coming school year. Features completed last year include a renovated cafeteria intended to serve as an all-day focal point of the school, a forum to be used for smaller presentations and community events, and a host of customized classrooms for career center classes. The renovations also expanded the old high school into a learning campus that now houses Foster Regional Applied Technology Center, the Franklin County Community College Network and Franklin County Adult Education.